Jamaican Oregano is a highly aromatic tropical perennial herb with a long history as a spice and medicine in the Caribbeans, and the Americas. It's a close relative of Aztec Sweet Herb. Jamaican Oregano is a tender woody shrub with cascading branches. The plant has small fragrant leaves and tiny white flowers that are very attractive to bees and other pollinators. Jamaican Oregano can easily be grown in containers and overwintered indoors. In the kitchen, Jamaican Oregano leaves have a similar flavor profile to Mediterranean Oregano, but the aroma and taste is much more rich and intense. 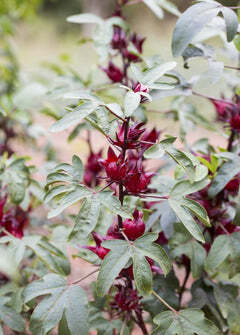 It is a staple spice in Caribbean cuisine. Other common names include Spanish Thyme, Oregano del Pais, Oregano Poleo, Puerto Rican Oregano, Dominican Oregano, Oregano Chiquito, False Thyme, Oregato and Oreganillo.